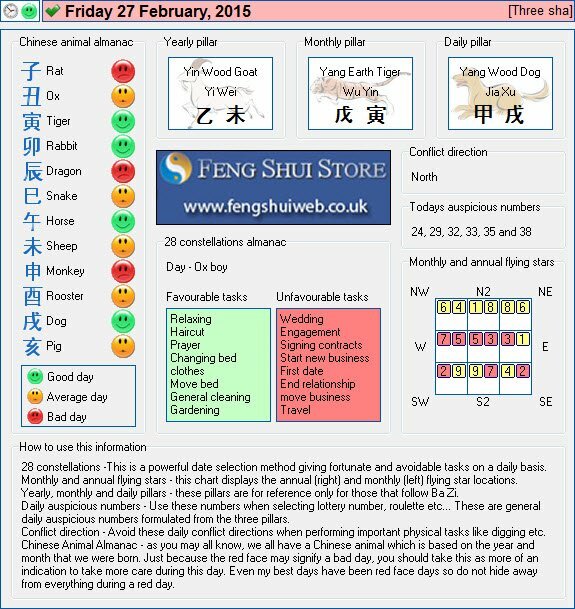 Here is the Free Feng Shui Tong Shu Almanac for Friday 27th February 2015. Your best facing direction is in the east. Sorry, can you please explain what you mean by lucky date. It is very hard to tell if a business will prosper without a site visit but I would recommend taking a look at the Monthly Almanac for best dates to open etc.